Search the Community: Showing results for tags '315w'. a 600w grow light? Im only asking as I dont really see it to be fair. I grow (or have grown) with all manner of lights, but not CMH, I use CFL for veg only as the buddage is a bit light any airier than HPS, even when you pound the plants with lumens... I would assume the same principal with CMH, but stand ready to be corrected... Surly the 315w would have the same efrect as CFL lumenwise? After all I understand the 'closer to daylight' spctrums etc. The same can be said the for PAR of CFL on paper, but you just need the light, its pretty much as simple as that. WE tried sulphur plasma for a while as well, the bit I still dont get is; if the light is so close to daylight, then are there two bulbs needed again?...Surely if it was 'that close' then one bulb would suffice, after all its not like the sun changes bulb, it just gets either closer or further from the equator... 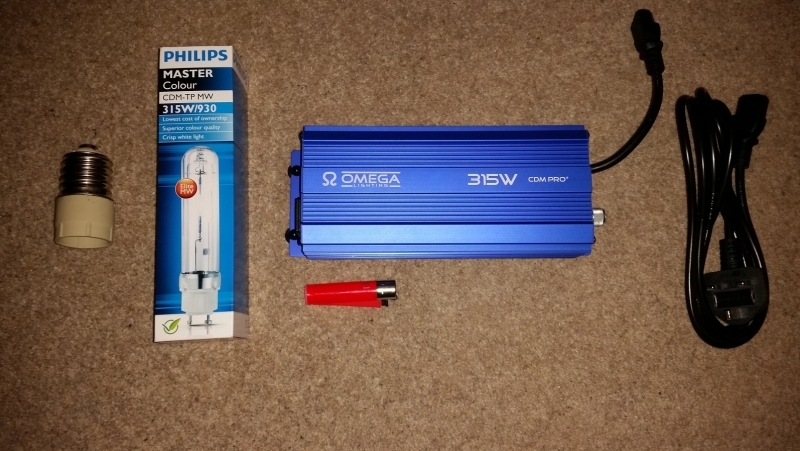 I would have thought that the PAR of the CMH would make up, at best, the odd 85w to equal a 400w HID - but taking that to a 600w HID comparrisson makes me dubious... after nearly 30 years of cannabis cultivation I have seen and grown with many things but I aint never seen a light that performs equally to a light twice its lumencount. I like to big up my grow style as much as the next man, thats why, like everyoine else, Im posting here - but really? 315 is the new 600? - Spock with a beard? ! think not. How to raise and lower multiple lights at once? Help!